ISLAMABAD, Feb 4 (APP):The Pakistan Tehrik-e-Insaf (PTI) government has fulfilled one of its major promises by launching Sehat Health Insaf Card for Islamabad, and erstwhile Federally Administered Tribal Areas. 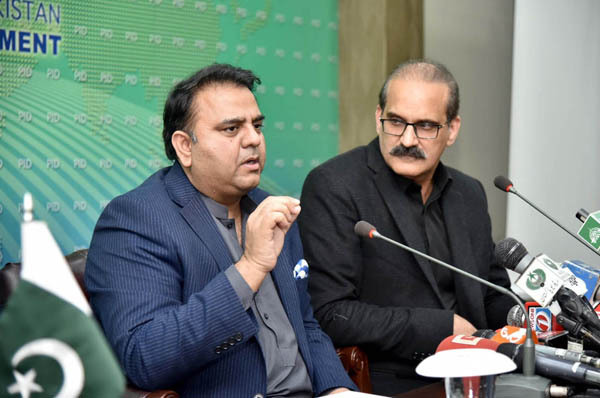 This was stated by Federal Minister for Information and Broadcasting Chaudhry Fawad Hussain here on Monday during a joint press conference along with Federal Minister for National Health Services Regulations and Coordination Aamer Mehmood Kiani. He said that objective of launching this scheme was to provide medical protection to poorest segments of the society as medical treatment worth Rs 720,000 would be provided free of cost to each registered family.